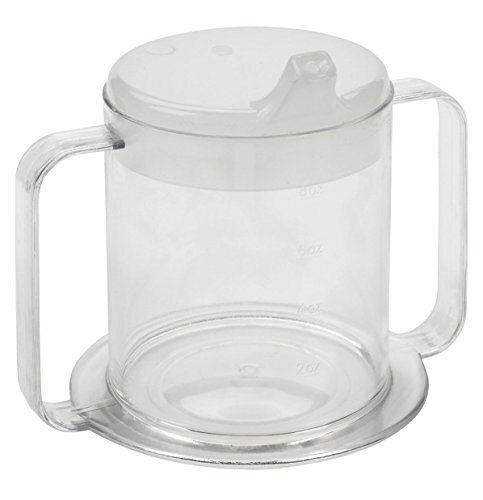 Drink hot or cold beverages with confidence with the 2-Handle Cup from Drive Medical. The Dual handles make grasping easy while the anti-splash top and spout let you drink with confidence. Durable and strong, the cup is also dishwasher safe.